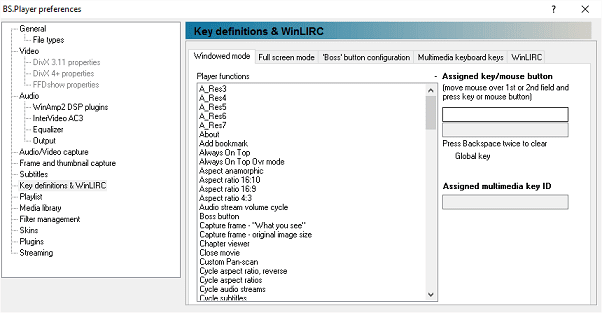 What are the keyboard shortcuts in BSPlayer? See what are the Keyboard shortcuts in BSPlayer. Key definitions (shortcuts) can be managed in Preferences>Key definitions (separately for windowed and full screen mode). 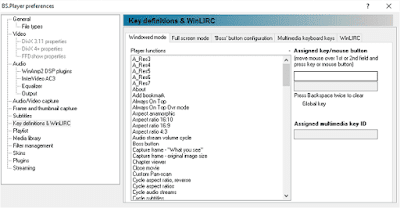 What are the keyboard shortcuts in BSPlayer?